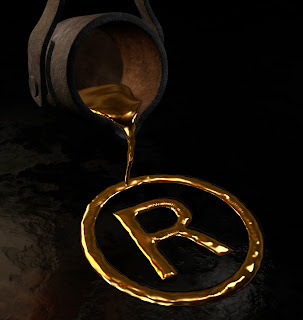 Dear Rich: An Intellectual Property Blog: Can a Co-Writer License at Less Than Market Value? Can a Co-Writer License at Less Than Market Value? Dear Rich: If two songwriters collaborate and co-own their copyright in a song, can one writer issue a license for the whole song (assuming she accounts to the other for her share)? What if the other writer believes that the song was licensed for less than the prevailing market rate for that use? Can that writer sue the co-writer for destroying the value of the copyright? I'm so glad you asked. As to your first question, the co-owners share the legal rights to the song (assuming there is no agreement to the contrary). As joint copyright owners, each writer can separately grant permission (a license) for someone to use the song, provided that each writer shares the income with the others. Although each co-owner is entitled to receive money from the song, this doesn't mean that the two writers have to share money from the song equally. One writer may receive 30% of the income and the other may earn 70%. Each writer's share is usually based on the value of their contribution. This is a matter that is agreed on by the two writers. If the writers do not agree and the issue turns into a lawsuit, then a court will decide on the value of each writer's contribution. Courts often start with the presumption that all songwriters contributed equally. As to your second question -- whether one writer can sue the other for licensing the song at less than market value -- we believe that it will be difficult to successfully assert this claim. Copyright expert Melville Nimmer reportedly argued that a co-owner has a duty not to "waste" a copyright. (This concept is borrowed from real property law in which a life tenant has a duty not to injure or waste the property.) However, our nation's leading copyright expert does not believe that a co-owner can assert this kind of claim. Even if you could make such a claim, keep in mind that you will have a heavy burden demonstrating that the value of the copyright has been depleted. The Dear Rich staff believes there may be one caveat to these rules and that is if one songwriter licenses the first use of a song without the consent of the co-writer. Although copyright law does not explicitly require all writers to consent to the first recording, we believe that this approach is required because after the first recording, this first use triggers the rights of others to record the song under compulsory license rules.